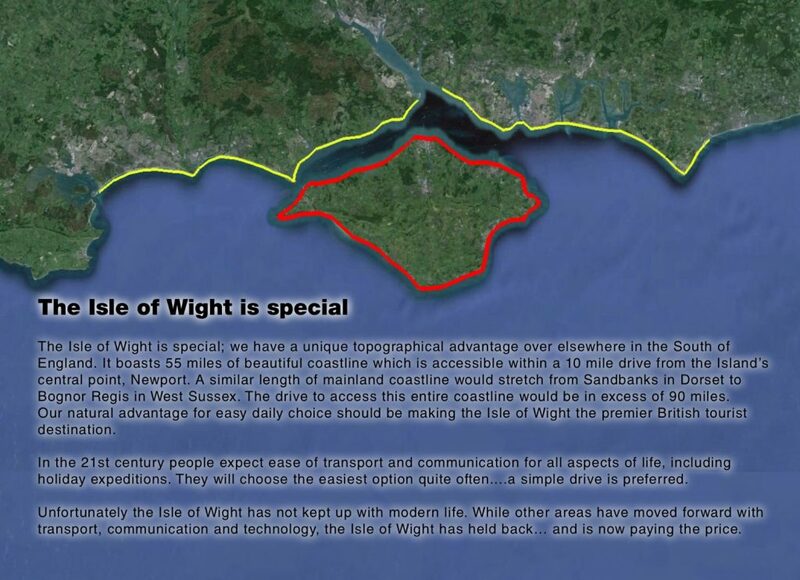 Despite the fixed link subject being on the discussion agenda for many island based businesses and institutions, the Isle of Wight Council had not responded. 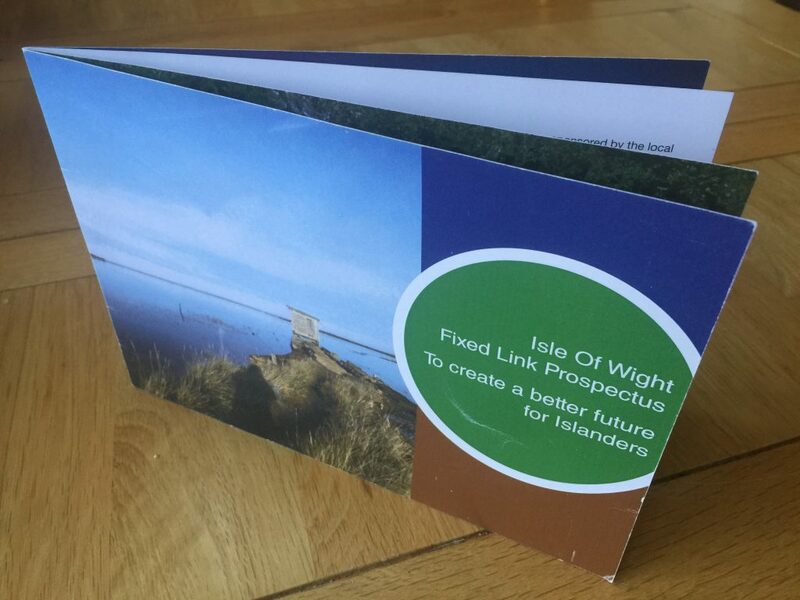 Initially at the beginning of the campaign, a small “Fixed Link Prospectus” was developed by PRO-LINK, printed as a booklet and given to the “Association of Independent Councillors” at a meeting with PRO-LINK. 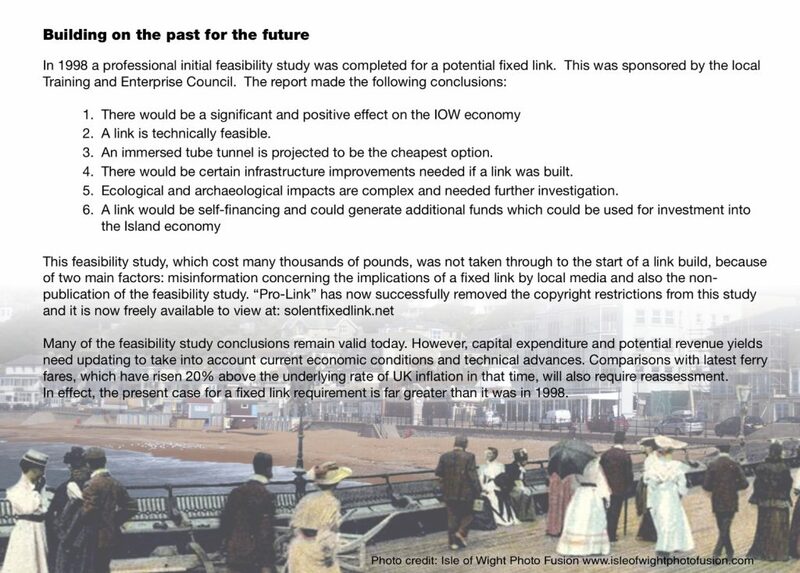 On the 17th March 2015, this prospectus was displayed at a “Riverside Centre” council meeting, where a fixed link presentation and debate ensued… mostly very positive. 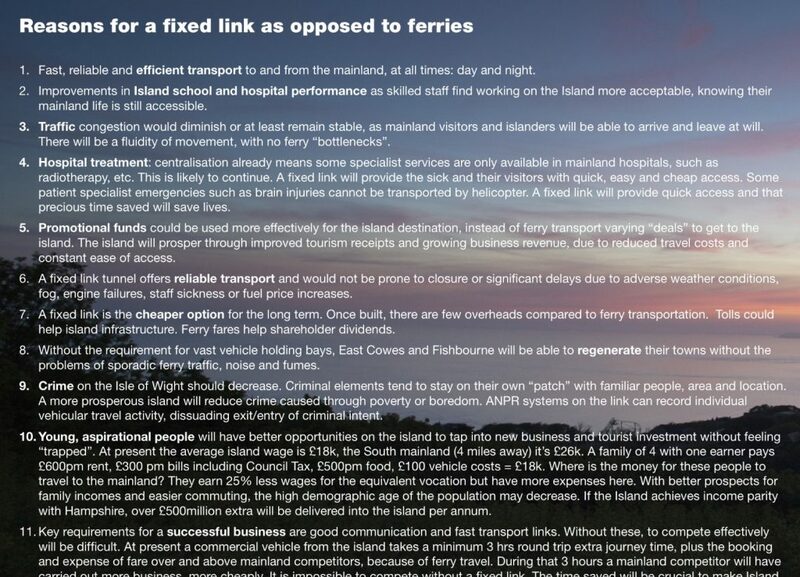 The Council then mysteriously went very quiet on the subject two weeks later, stating by email that the IOW Council had no intention to pursue a fixed link….. it was not to be discussed any further. 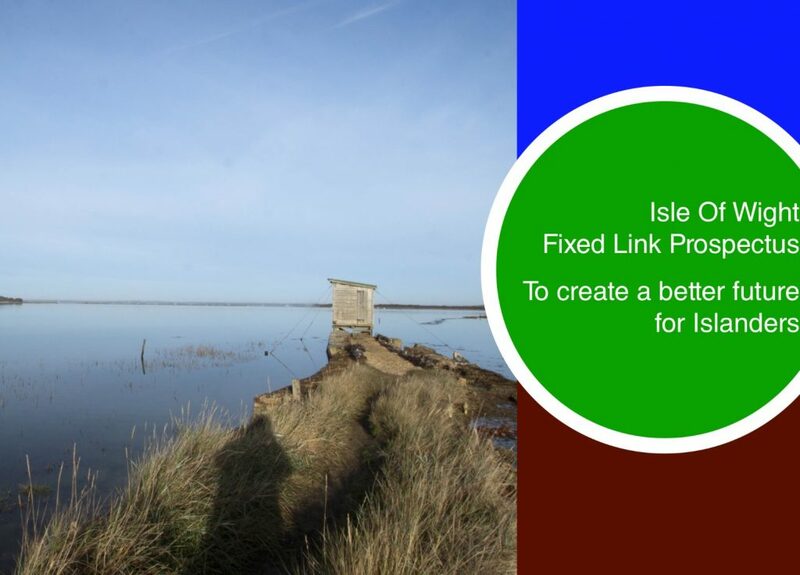 “Many thanks for your email and follow up call. 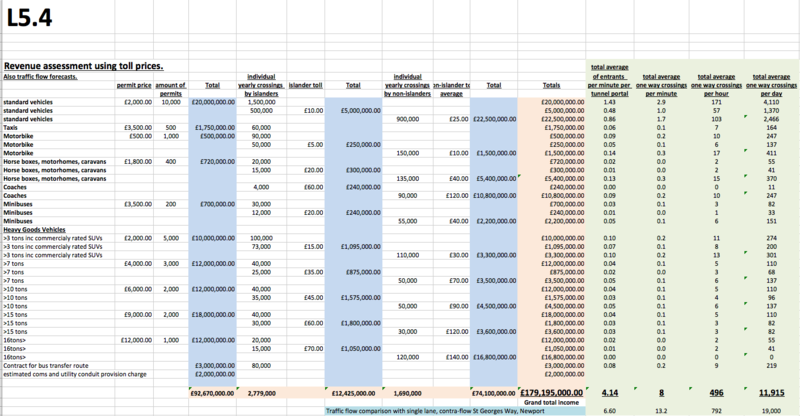 I’m sorry for the somewhat tardy response. 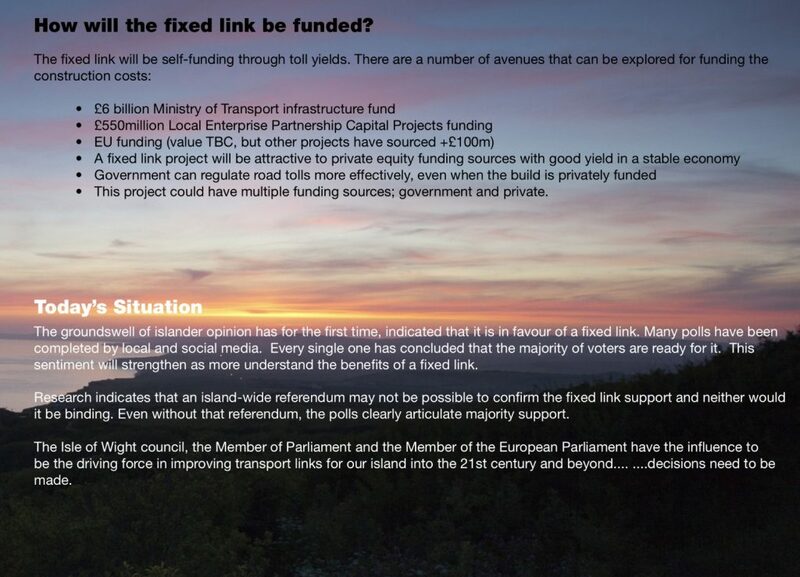 The council has no policy to pursue a fixed link and Im therefore not able to provide the support and assistance you are seeking. 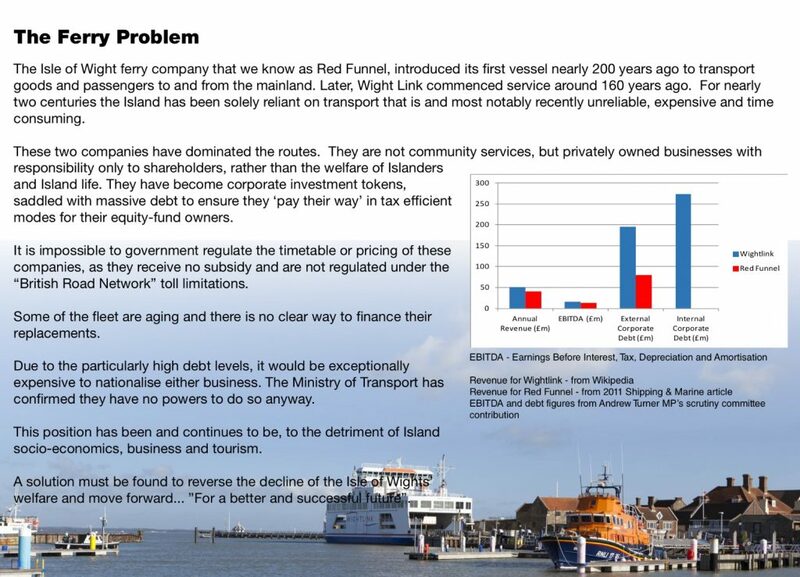 We do however have a corporate objective to ensure we have secure, accessible and affordable cross Solent travel and as I think I explained during my presentation at the Riverside Centre, we are currently pursuing this through the establishment of an Island Infrastructure Task Force, about which we are currently in discussions with the DfT.